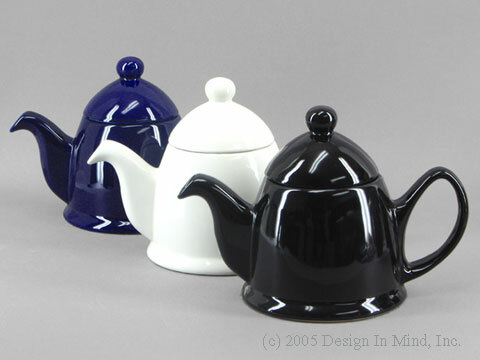 A collection of teapots in black, white, cream, or shades of gray from many manufacturers. Sizes range from 16 to 70 ounces. Choose the style that suits your taste. 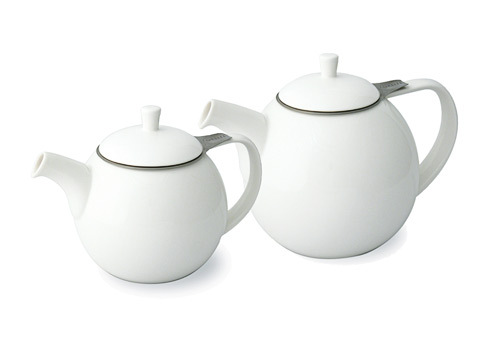 The White Basics 6 cup teapot is a great size for two people. 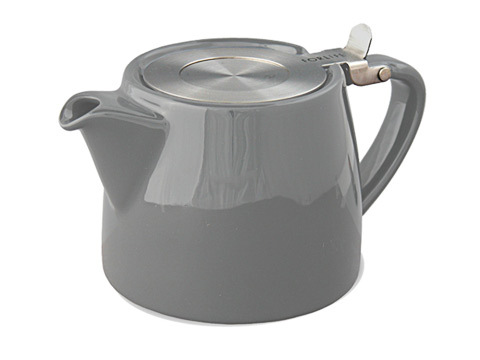 It serves up 33 oz of fresh brewed loose leaf tea, enough for 2 large mugs or 6 teacup size portions. 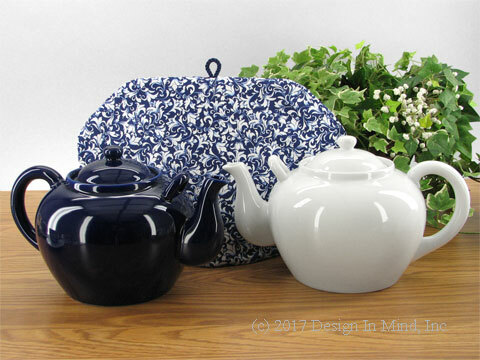 The 6 cup size takes a Medium Size Tea Quilt tea cozy. 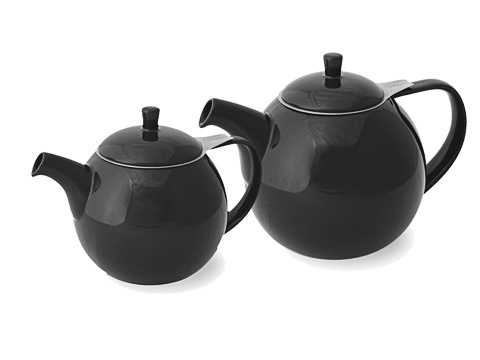 We recommend size #3 t-sac filters for this teapot. Gift boxed. Made in China. 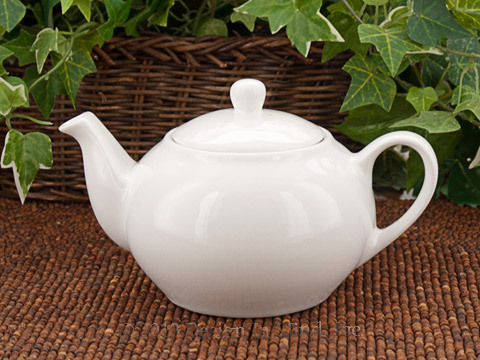 The Matte White BeeHouse teapot has a slightly mottled, medium glaze finish, and would make a lovely addition to a neutral color decor. 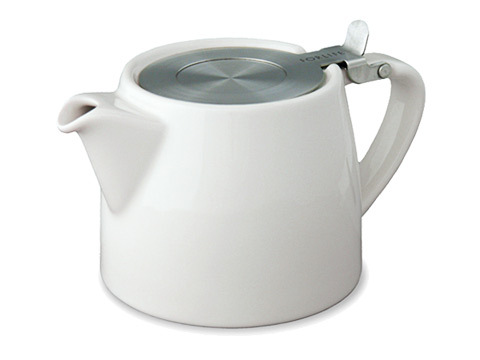 It holds 22 oz and comes with the traditional infuser and tilt-back lid. 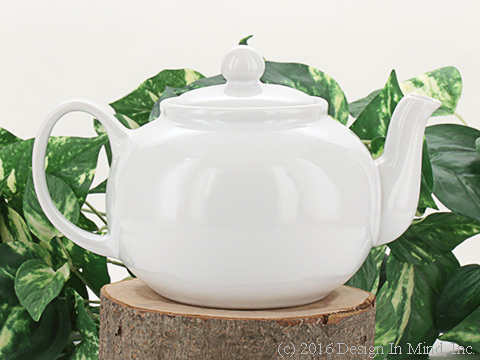 "Mango" design creamy white bone china teaset includes: teapot, cream/sugar set, 2 mugs, and 3 plates - you'll need one for cookies. 24 oz. 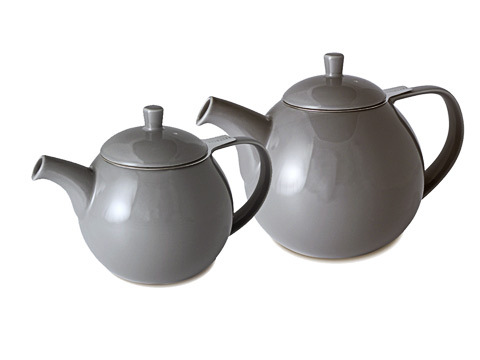 teapot, 9 oz. mug, 8" x 7" plate, 5 oz. creamer, 6 oz. covered sugar. Unique shape with clean lines. 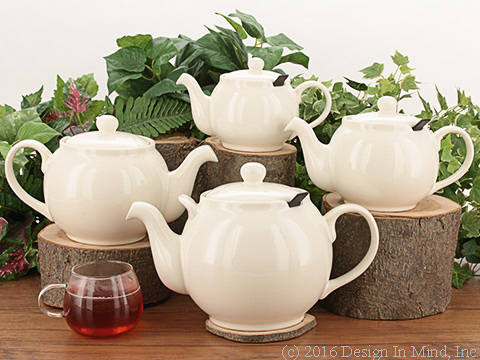 A simple, yet elegant, teaset. Microwave & dishwasher safe. Konitz Aroma Teapot with infuser - 26 oz. 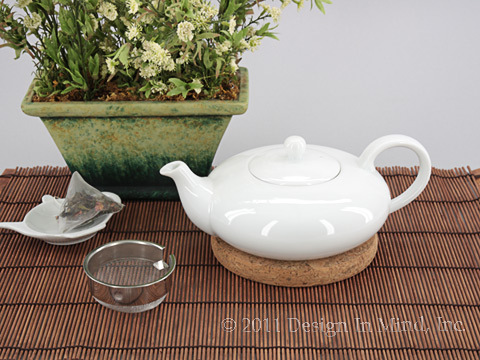 Aroma tea pot with infuser from the Tea Connaisseur collection. 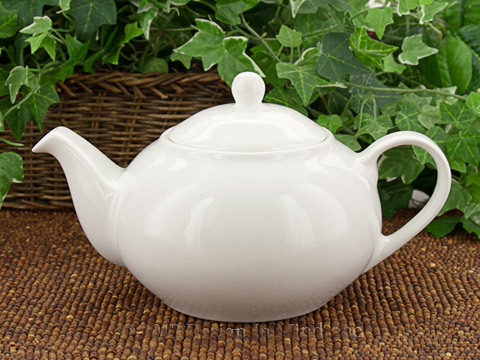 White high quality porcelain. 26 oz. Microwave and dishwasher safe. 4'' H x 9'' W x 6'' D. Use a large size tea cozy. Made in Thailand.